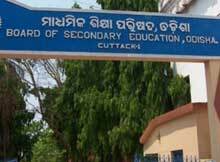 The Odisha Teachers Eligibility Test (OTET) for year 2014, conducted by the Board of Secondary Education (BSE), will begin from July 20. OTET is a compulsory examination for all B.Ed qualified candidates to be considered for teacher’s jobs in schools run by the government and private managements. The test would be held in 199 centres in the state. Candidates appearing for OTET 2014, can download their admit card from the BSE website www.bseorissa.nic.in. The test is held for candidates aspiring to become teachers in primary and upper primary schools in the state of Odisha.